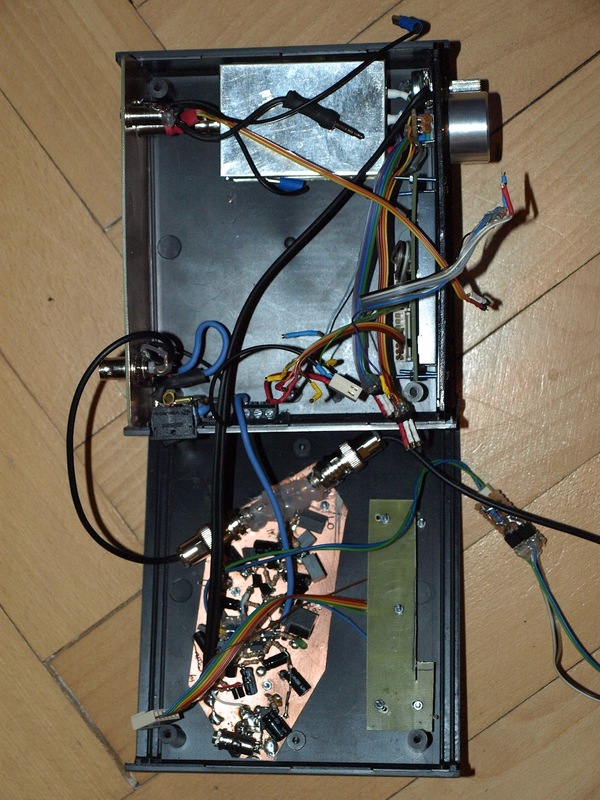 Since I recently got my HAREC HAM licence, I decided I need a radio for HF. So here are a description and some pictures of the current contraption I use to listen on the 40m band. 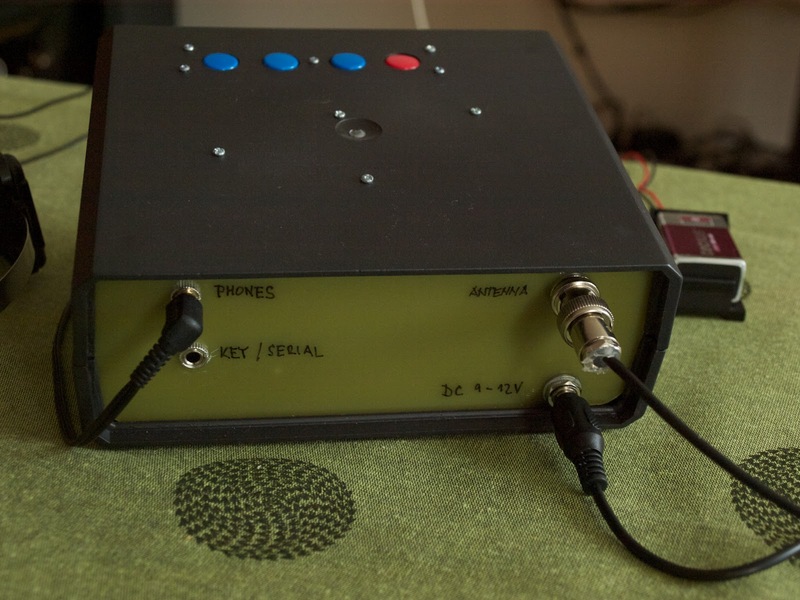 The RX part was inspired by the popcorn DC receiver mainframe published by VE7BO on his site http://www.qrp.pops.net/popDC.asp. I used slightly different diplexer (similar to B variant) and created both filters with bistable relay switching circuit. ADE-1 from Mini Circuits serves as the main mixer. The receiver used to be controled by Arduino (with Diecimila bootloader to support eeprom flashing), but has been since replaced by much smaller cpu board holding ATmega644PA microcontroller running at 8Mhz on internal oscillator. 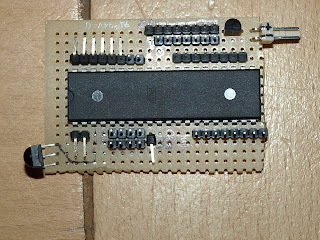 This board connects to all controls, LCD and a DDS box, which is the source of RF signal for the ADE-1 mixer in the receiver. The CPU board also provides 5V regulated power to all digital parts. 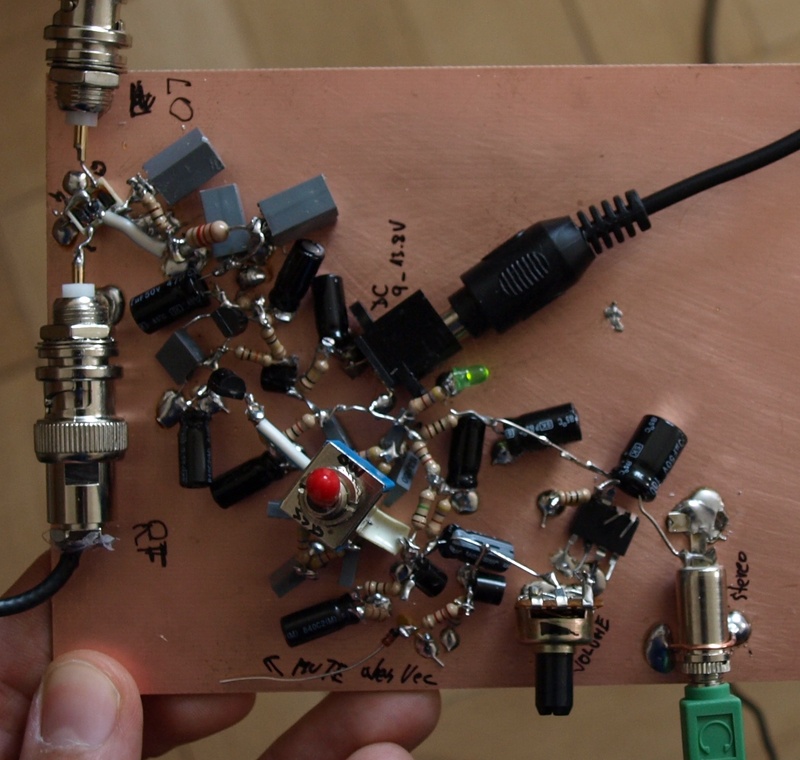 A sample of AD9835 was used as a basis for the DDS oscillator, together with a low pass filter based on a design by maxit91 (http://hem.passagen.se/communication/dds.html). The whole module is built in RF tight box to prevent RFI. DDS is the silver box next to the knobs. 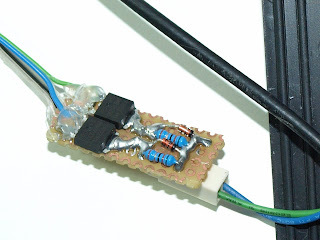 power switch, fuse and back ground plane with connectors. Filter switching relay is controlled using couple of transistors by two of the ATmega's pins. There are four buttons, volume knob and rotary encoder for user input. 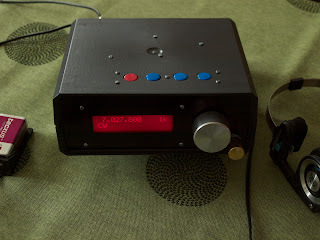 Currently only volume, rotary and two buttons are used as the firmware still contains only very basic functions. It is possible to switch between CW and SSB filters and change the frequency (using 7 different steps from cca 1Hz to 1Mhz per revolution). The insides.. just before the new CPU board was installed. 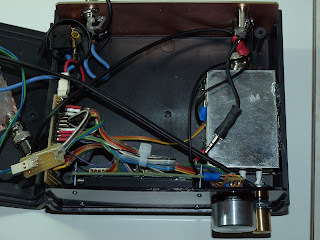 I will publish some schematics as I draw them as most of the work was experimental and the circuit changed often. The current firmware lives at https://github.com/MarSik/HF-SSB-CW-direct-conversion-receiver including the bootloader that I had to adapt from Sanguino (m644p port) and Arduino sources (Diecimila's bootloader supports proper upload of eeprom data and reports correct signature). In the future I'd like to use the free space I got by replacing Arduino to add CW transmit capability and about 5W PA.